Neoprene was developed as an oil resistant elastomer to replace natural rubber. Due to its singular combination of properties, Neoprene has been specified for a wide variety of industrial uses. Available products are solid grades used in synthetic rubber goods and base resins for use in solvent-based adhesives. 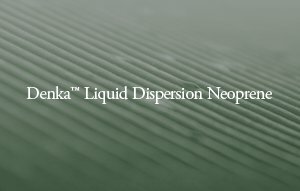 Liquid dispersion grades provide an ideal material for adhesives, dipped goods and foam. 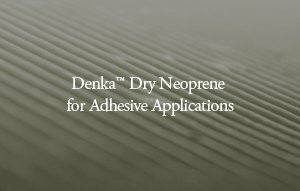 Denka™ Neoprene compounds are suitable for use up to 80 to 95 oC in continuous service. Temperatures up to 120 oC are possible for several weeks’ exposure. Parts based on Neoprene maintain their properties at -20 to -25 oC. Below this temperature the modulus of Neoprene compounds increases, but special compounding allows service temperatures at -40 to -55 oC. Apart from its good high and low temperature properties, Neoprene provides a number of other benefits: excellent resistance to wax, oil and grease, and good resistance to bases, dilute acids and salt solutions. Neoprene compounds can be formulated to be resistant to ozone, weathering, immersion in water, or exposure to soil and microorganisms for decades. Vulcanizates based on Neoprene provide excellent dynamic properties and abrasion resistance. Products benefit from the low compression set of Neoprene parts. The outstanding tensile properties that make Neoprene successful in elastomeric applications also make it the material of choice of adhesives having excellent bond strength. Dipped goods based on Neoprene provide excellent resistance to mechanical stress. Typical products made from Neoprene include cable sheetings, airsprings, conveyor belts, agricultural power transmission belts, dust caps, hoses, and coated fabrics. Traditional uses in construction applications are window and road seals, bridge bearing pads, and cellular goods. Neoprene based adhesives – both solvent and water based – are used in numerous applications for shoes, flooring, packaging, and automotive. 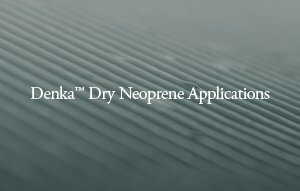 Denka™ Neoprene liquid dispersions are aqueous, colloidal dispersions of polychloroprene or copolymers of chloroprene and other monomers such as sulfur, 2,3-dichloro-1,3-butadiene. These LD products are available only as anionic surfactant systems.